Celtic Ceilidh is offering dance camps for all ages this summer from July 22nd to 26th, providing your child the opportunity to be exposed to different dance types from around the world! Registration for 2019 camps is now open! See links with each camp below to enroll. A one hour, introductory class to Ballet and Celtic dancing for wee dancers. No previous experience required. Click here to register for Mini Celts. Try different dance styles from around the world including Highland (competitive option available), Irish, Tap & Ballet. Dance experience not necessary. Click here to register for Around the World in Dance. 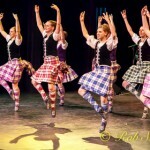 For competitive Highland dancers (Beginner, Novice, Intermediate & Premier) to keep up their training over the summer and prepare for upcoming highland games. Click here to register for the Competitive Highland Training Intensive. Refunds cannot be issued for withdrawals received after July 15th, 2019.